Boat hin# A50476,Mint 1964 Renken 14' Runabout & 40 hp Mariner Outboard, Restored Fiberglass 14' Renken Ruabout w/new reclining seats that accomodate 4 passengers. 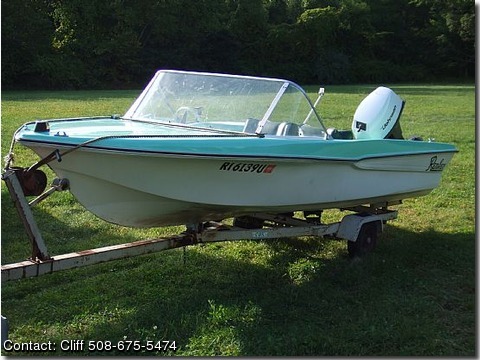 Fuel effecient 2 stroke 40 hp 1987 Mainer outboard engine runs w/one flip of key or pull of rope.Motor relabled as "Johnson" for authentic look. Buy it now includes free trolling motor listed on my other store items. Currently registered & u will get bill of sale & current registration certificate.